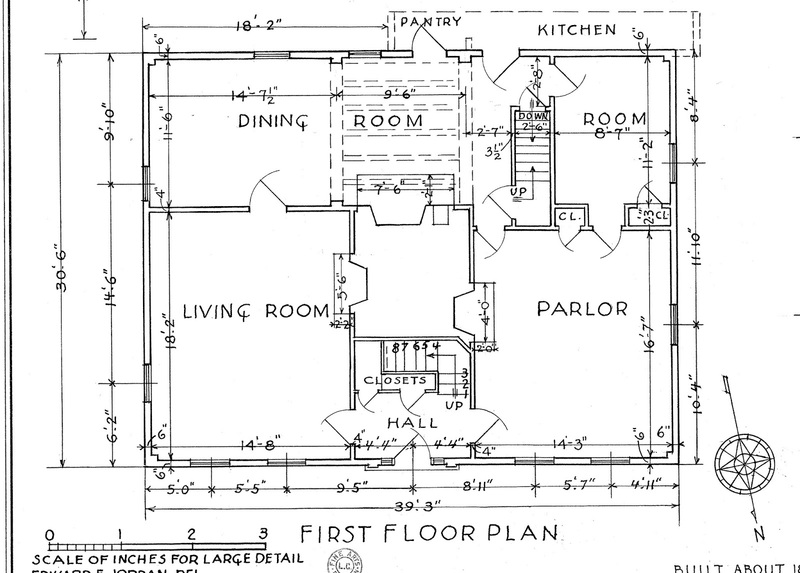 Jane Griswold Radocchia: The Persistence of the Saltbox Floor Plan. The Persistence of the Saltbox Floor Plan. The name comes from its roof, which reminded Victorians of the slope of kitchen saltboxes. Variations of this house with this roof line were built on the New England seacoast from the late 1600's to the mid-1700's.. The saltbox plan was a pattern. It did not cease to be when saltbox roofs were not longer built. It evolved, grew and adapted. Early NE houses were usually 2 rooms down, 2 rooms up with a chimney in the middle serving the fireplaces. A lean-to off the back was often added for storage. The storage evolved into a narrow room the length of the house with a fireplace built into the main stack. Usually small rooms on either end served as pantries and bedrooms for birthing or invalids. The drawings are by James Garvin - please see citation at the end of this post. Settlers moving into Maine, western Massachusetts, the upper Connecticut River valley, and across the Green Mountains of Vermont built what they remembered - the layout, the relationship of rooms to function and each other. Sometimes they grew the house, using the salt box floor plan for a wider cape. This also simplified the roof frame. James Breckenridge built this cape in Bennington, VT, about 1765. 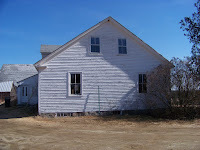 This c.1800 cape, the house end of an attached farm complex, is near Brunswick, Maine. They built story-and-a-half capes with more head room upstairs. The first floor was the saltbox plan: 2 main front rooms with smaller rooms in the back. So was the second. Hezekiah and Ira Armstrong built this farmhouse in Bennington about 1810. Although it has been updated by its 5 subsequent owners, its original floor plan is still clear. 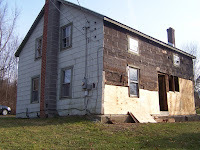 A story and a half cape with a post and beam frame, now demolished, about 5 miles from the Armstrong House. The original plan had been poorly reworked. The house lost its character. Hiram Waters, Bennington master carpenter, built this story and a half cape for his family about 1825. 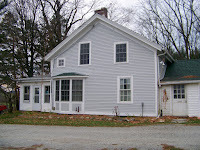 The original house uses the saltbox plan including the center chimney. From right to left: his workshop including a display room and boarding for apprentices; his original house (the back wing with its roof facing the street); his c.1840 front wing and porch. These 5 houses all had a steep tight back stair for access to the second floor. Broader stairs with more head room have been attempted with interesting results. The salt box floor plan was also used for full 2 story houses– 2 large front rooms, a long back space divided as needed on both floors, a steep back stair as well as a turning front stair set against the chimney. 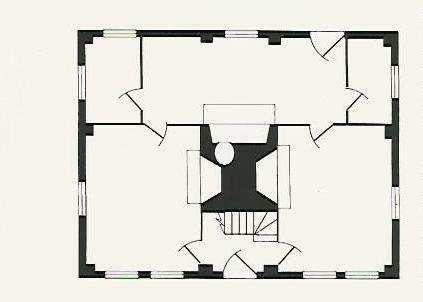 Growing up on the NH seacoast, I played in several c.1740 houses with this floor plan. 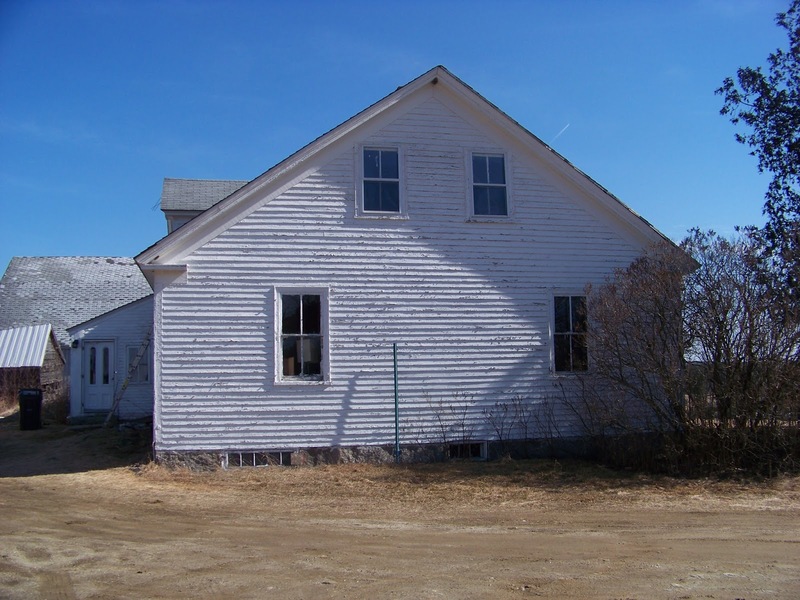 This c.1800 Westford, MA, 2 story house was measured and photographed by the WPA in 1933-4 . It burned shortly thereafter. 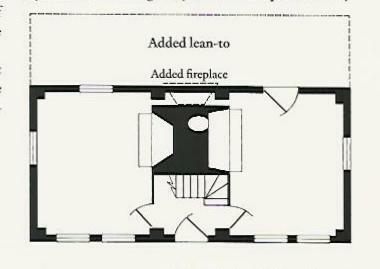 Here is its first floor plan: center chimney, 3 fireplaces, large front rooms, long back space divided as needed. 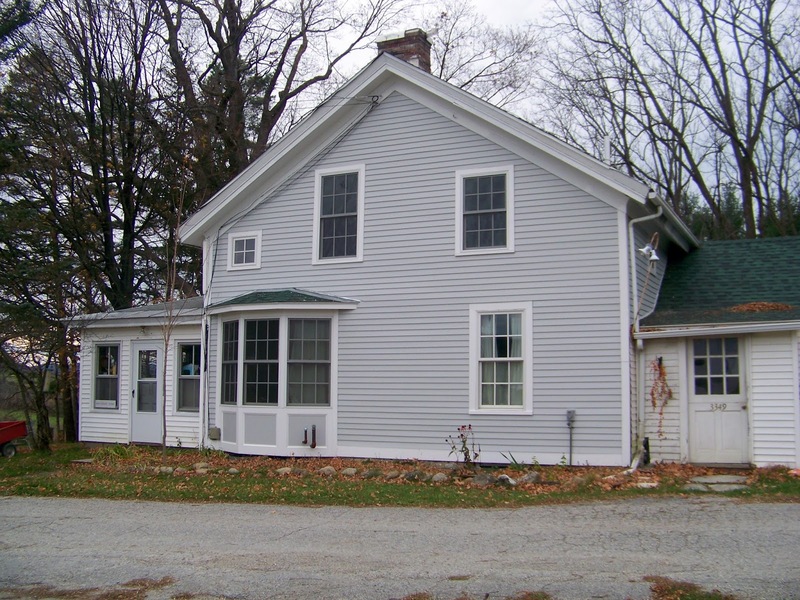 In Bennington, VT, the prosperous Norton family built 2 houses between 1807 and 1817 both with Palladian windows. The master-carpenter was Oliver Abel. These houses have center halls with graceful staircases, beautiful moldings and 2 chimney stacks. However they do not follow the 4 room, 2 chimney, center hall plan which followed the saltbox plan - seen here as drawn by Jim Garvin. They continue to use the salt box plan - 2 large front rooms, smaller service rooms in the back. 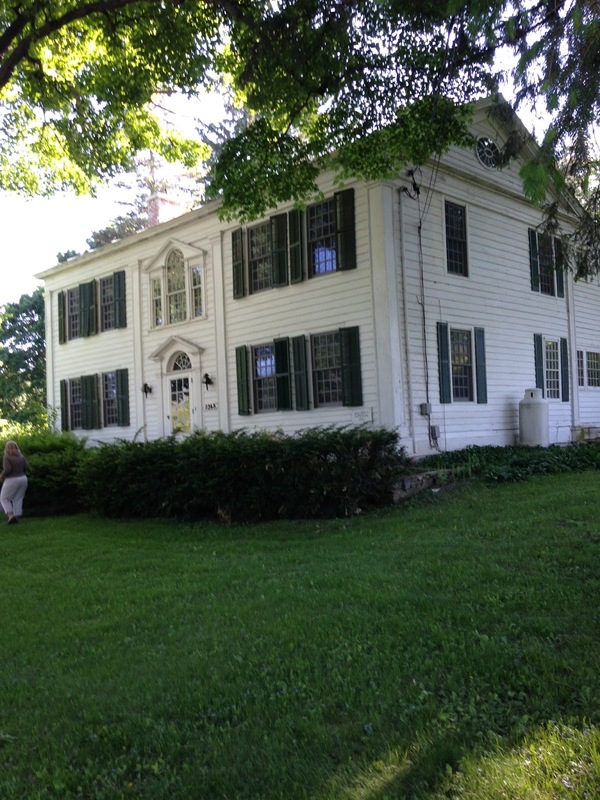 So does this house in Caledonia County, VT. first laid out about 1780, much updated since. 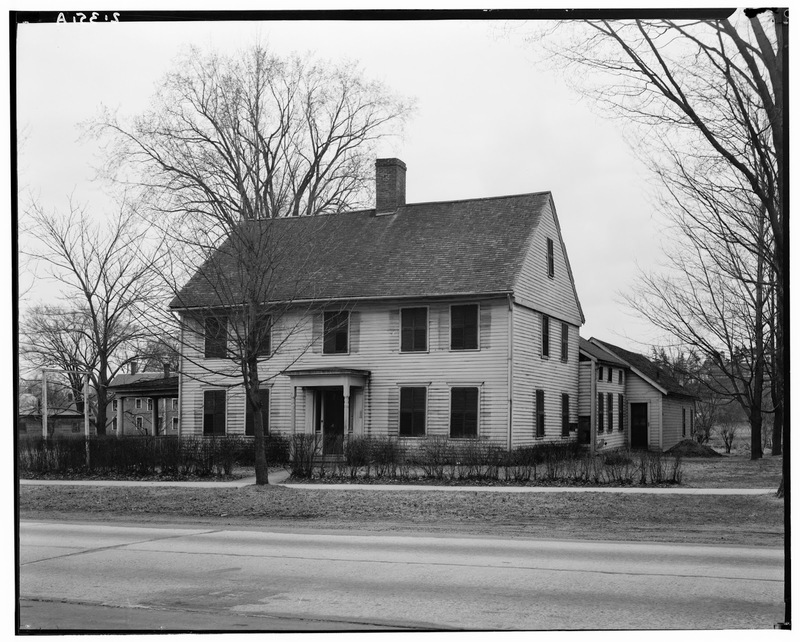 The Vail House in Bennington, c. 1800. While the chimneys were moved to the end walls, the framer kept the traditional saltbox plan. Finally, the Blow Me Down Casino at Saint-Gaudens NHS in Cornish, NH. I was there last week for a preservation conference. The house was part of the program. Its record says 'Built in 1788'. At first I thought, "Absolutely NOT! Somebody who wanted to be 'Colonial' added that center chimney." Then I looked at the paired 2nd floor windows - the placement of those windows in the wall, the geometry, said this house was pre-1800. The record and physical evidence show that in 1926, the foundation, the first floor joists, the back wing, attic, and roof were replaced. East and west windows were altered. The chimney was removed, rebuilt. Again in the 1950's the first floor interior was changed. Porches, verandas, balustrades were added and deleted. I explored the house, basement to attic. I read the drawings and notes. 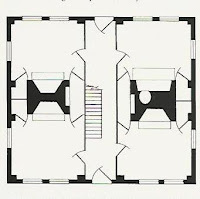 One indicated the 2nd floor layout had been adapted, not changed. Not until I had left the conference did I realize the 2nd floor was the saltbox layout - a large front room on either side of a center chimney, (now removed and replaced by a bathroom and modern chimney) perhaps a front stair (now also gone) and the back stair in the back wing with small secondary rooms. Most of the houses shown here I have been in, including their basements and attics. Many I have measured. They all have the saltbox floor plan. 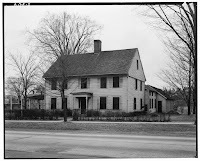 I have posted photographs to emphasize that the exterior style of a house was not necessarily reflected in the arrangement of its spaces, and to show the persistence of the saltbox plan. 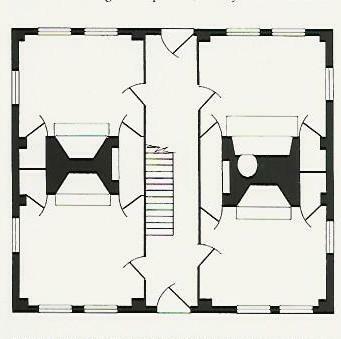 The 3 floor plans are drawn by James L. Garvin, and can be found in his book, A Building History of Northern New England. Hanover and London, 2001. p.97,98,99. They are reproduced here with his permission. I am not the only person aware of this persistence of form. Kenneth Hafertepe, in his article Asher Benjamin Begins: the Samuel and Dorothy Hinckley House in Old-Time New England, Spring/Summer, 1999, mentions on page 8 that in the Connecticut Valley "center chimneys persisted into the next (19th) century". 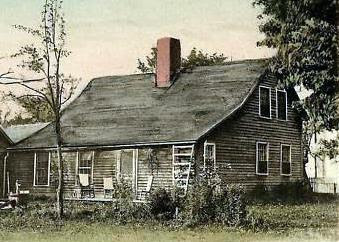 Benjamin built the Hinckley House in Greenfield, MA, in 1796.